Grapehounds-Virginia kicks off in three days in Leesburg-Virginia! Please plan to be with us for the weekend …or for the day! You don’t even have to be a wine taster to love this event! 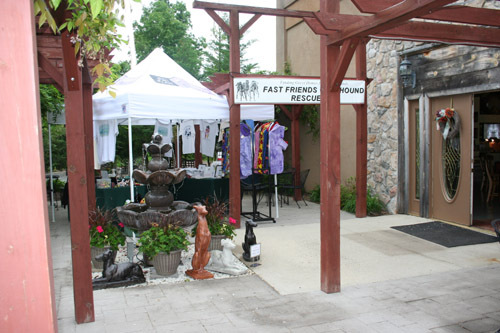 If you are a wine lover, there are six wineries and a new custom wine glass waiting to welcome you and your hounds! Food, music, vendors, beautiful wineries, and hundreds of greyhounds in springtime Virginia! Sounds like a Grapehounds event! A huge vendor tent opens at noon on Friday this year at Lost Creek Winery, filled with vendors from as far away as Illinois, Arkansas and Vermont. This year there are some new vendors who have never before been to a greyhound event! Our organization will also be vending at this event. We will have new and unique items exclusively brought in for this event! Some are one of a kind! A Welcome Party will be held at North Gate Vineyards on Friday evening from 5 p.m. until 8 p.m for registered guests, with delicious food pairings from Gourmet Your Way! Saturday, the vendor tent will be open all day, along with food, music, and wine tasting. If you can’t come for the weekend, then get a friend and come for the day on Saturday! Bring your greyhounds and a toy, blanket or collar from any greyhound you have lost for a special Blessing of the Hounds by Rev. Susan Carol Roy at 3PM on Saturday. There is still some hotel availability in Leesburg, but now is the time to reserve a room! Rates in the area are as low as $75 a night. Although pre-registration has ended, you can still register at the event. Registration includes a new Grapehounds stemless or stemmed glass, entrance to the Welcome Party, and wine tasting at six wineries. All proceeds go to ten area greyhound adoption groups (including FFGR, Inc.) co-sponsoring the event. For more information, go to our Calendar of Events on our web site. We hope to see you there!